We have been a big fan of Therm-a-rest sleeping mats for a number of years and between Gill and I we own four of them. 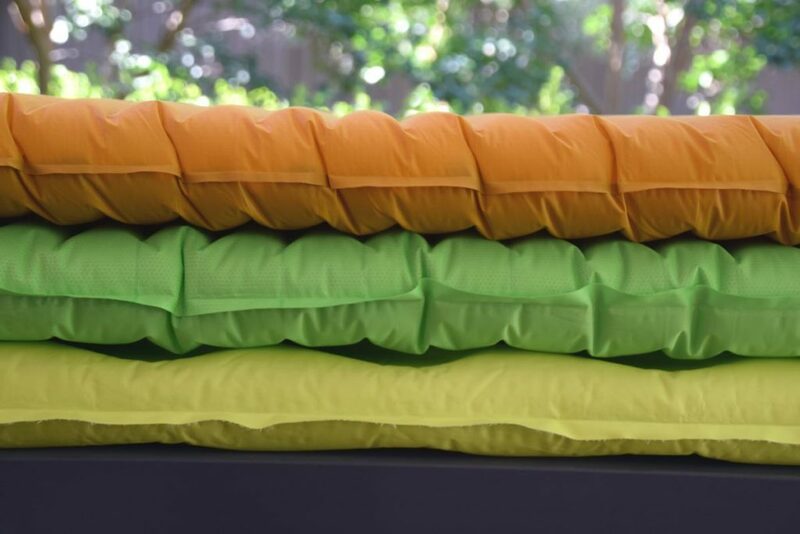 To help us celebrate our second birthday the Australian Therm-a-rest supplier has generously provided us with a Them-a-rest Trail King SV Sleeping Mat (1 only) valued at $299.95 AUD. This competition is open to Australian residents only. You will need to provide an Australian postal address to claim your prize. On Monday 19 November we will upload a Facebook post taking you to the review of this great sleeping mat. To make this easy this post will be pinned to the top of our Facebook feed. Be a newsletter subscriber (no cost involved). To be a subscriber join on Facebook page or our web page. The mat will be mailed out to you direct from the Australian Therm-a-rest supplier. 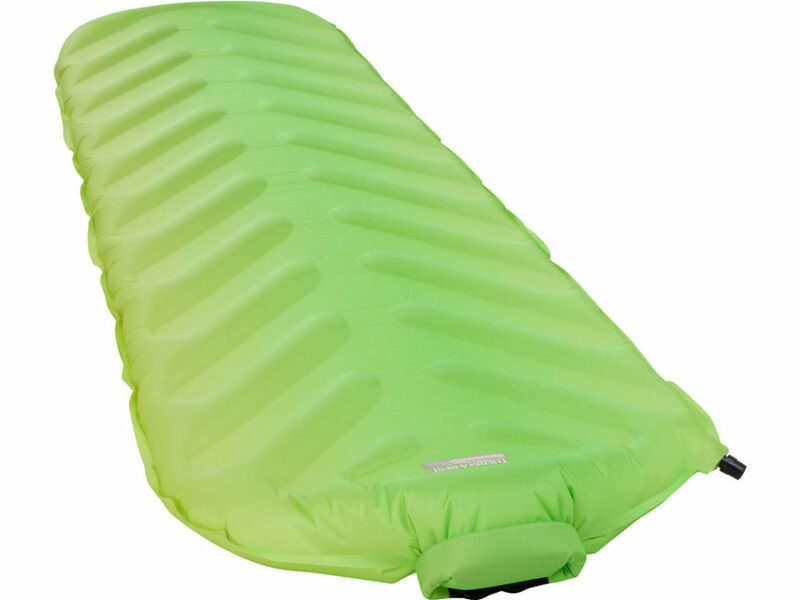 Recently I had the opportunity to try out the Therm-a-rest Trail King SV Sleeping Mat and I given that I have been using a Therm-a-rest NeoAir XLite I wasn’t sure how this particular mat would perform. My trepidation was based on this being a low R-valve, high weight mat, that took up considerably more space in comparison to my existing mat. 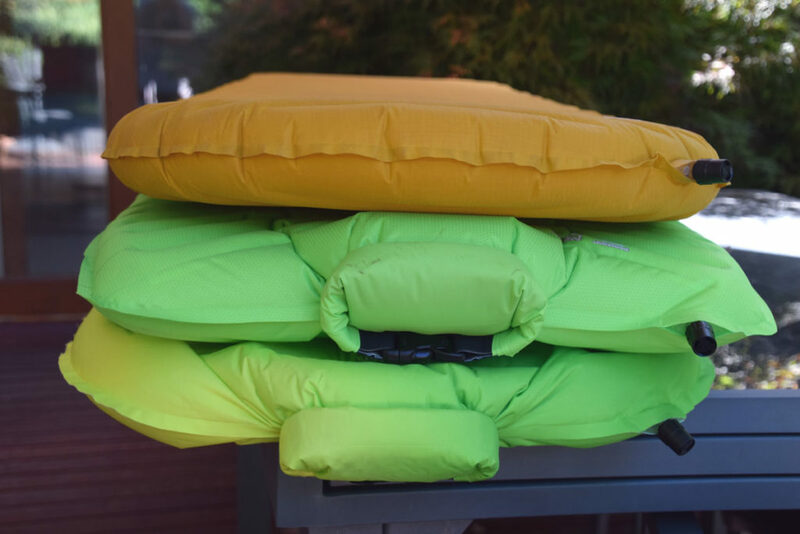 The mat is definitly on the heavier end of the sleeping mat scale weighing in at 830 grams in addition to its fused lofting which makes this a bulkier mat when packed that is more the size of a sleeping bag. When compared to the very compact Therm-arest NeoAir XLite or the larger Thermarest Xlite All Season SV (see image below) you definitely notice the size. The most obvious difference on this sleeping mat is the speed valve inflation system. Instead of blowing into a small valve system you initially wave the matt a few times which fills up a lot of the air need. You then exhale into a larger opening from about 150mm (6″) away which greatly reduces the strain on the lungs. I’ve read reviews on the internet complaining of a leaking issue with the speed valve but I didn’t find that this was an issue for me at all. Loss of air can be a generic issue with all inflatable mats. Thermarest have a great video on their website that talks you through the process and also states that if you don’t follow the instructions that there can be leaks. Five days later this mat is still fully inflated and while it has lost some air it’s hard to pick. This mat feels comfortable to lay on and out of all the inflatable Therm-a-rest mats I have tried so far this is without a doubt the quietest. There still is some noise but its very minor and I don’t think it would be possible to make a mat any quieter than this one. The Trail King has a different construction to a lot of Therm-a-rests lighter weight mats and as such feels fairly stable across the full width. I didn’t feel like there were any soft edges which is one of the criticisms levelled at the Therm-a-rest NeoAir XLite. This mat was very comfortable to sleep on but doesn’t have a lot of insulation properties only having an R-value of 1.8 which essentially means that it is a three season mat only. If you camp in winter or are a cold sleeper then this may be an issue. I found the pad size was fine for my 188 cm, 95kg frame. Where this mat makes up ground is in the pricing sitting at around $299 at the time of this review which makes it one of the cheaper Therm-a-rest inflatable mats. There are however a number of other mats available on the market that have a higher R-value, cheaper price, and less weight but I can’t speak to the comfort level, or the noise level of those. Due to my focus on reducing weight this sleeping mat is not likely to replace my Therm-a-rest NeoAir XLite anytime soon as my main hiking mat and if given a choice for car camping I would still prefer to use the Therm-a-rest NeoAir All Season SV Regular Sleeping Mat even at the dearer price. This would however be a great car camping mat and one that i would gladly swap out my lighter mat for a quieter more comfortable sleep. Overall the mat is a robust, comfortable, stable sleeping mat and one that I would be happy to use in the circumstances where weight and bush are not an issue. Comparison of various sleeping mats packed. 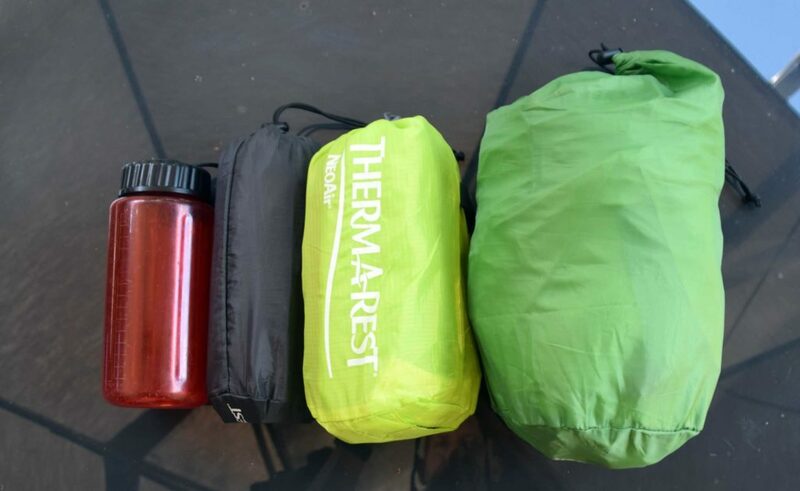 From the left:- one litre water bottle, Therm-a-rest Neo Air Xlite, Thermarest Xlite All Season SV, and Thermarest Trail King SV.